Complete your New York real estate continuing education online. Our courses are designed to help you fulfill your CE credits for your New York real estate license renewal. This is an online real estate school that offers you the convenience of studying at your own pace in any location with Internet connection. Our real estate CE courses meet the requirements of the New York Department of State. Take your 22.5-hour New York real estate continuing education now. The New York Department of Licensing Services requires education providers to issue course credit to students who complete the online course within the state-mandated time period. This means, to complete the course you must sit for the required number of hours; for example, to receive credit for a three-hour course, you must go through the entire course in three hours. Our 22.5 Hour New York Real Estate Continuing Education course has been reviewed and certified by ARELLO for online distribution. The real estate program covers 22.5. hours of courses, required by The New York Department of State (NYDOS), that apply toward Real Estate CE course completion certificate. In order to own and convey property in a market economy it is necessary for that property to be assigned a specific monetary value. This process, unlike, say, that of assigning value to durable goods—which have specific materials, production and marketing costs—can be somewhat more involved. With property, the fixed costs—building materials and labor costs—are always accompanied by more esoteric factors that go to make property more (or less) valuable. Becoming a member of the group that understands and applies these factors is a bit more complex than simply being able to understand a balance sheet. This course is designed to increase your knowledge of federal and state fair housing laws and related civil rights and anti-discrimination laws that affect real property transactions. All real estate licensees need to understand who is protected by the fair housing laws, what acts are prohibited by these, and how the fair housing laws are enforced.The more knowledgeable you are about fair housing, the less likely you will be to commit fair housing violations. Course topics covered in this course include transactions covered by the law, discrimination, HUD advertising guidelines, equal housing opportunity, the equal credit opportunity act and the Americans with Disabilities Act. The undertaking of real estate transactions is a complex endeavor. Expertise is needed by buyers and sellers of real property in order to assure that profits are maximized while losses are minimized, both of these ends being realized in legal and ethical ways. 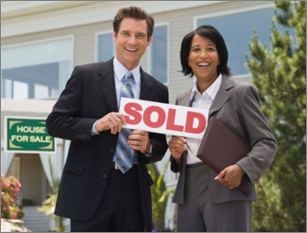 To gain this expertise, it is common, if not necessary, for buyers and sellers to enter into relationships with those who have expertise in real property issues namely, you.A variety of relationships exist in real estate transactions and they are designed to serve the different means and degrees to which buyers and sellers are represented. These distinct relationship categories are borne of agency law. Some real estate licensees believe that their job ends when the purchase and sales contract is signed, and in fact, in many states, the licensee has no official duties throughout the closing process. However, transactions can and do fall apart during the closing stage. Licensees who are familiar with the closing procedures and settlement costs can stay involved and make sure that their transactions meet the desired end. This module covers the buyers and seller concerns at closing, the required documents to close a transaction and the rules and regulations of the closing process. In addition, the student will learn ways to help clients through this sometimes complicated process. Finally, the student will learn how to calculate closing expenses and fill out the settlement statement. As the student completes this module, he or she should attempt to fit this information in with the big picture of the real estate business. The conclusion of the module will assist with drawing the information together by presenting real world practice, comprehension questions and case studies for the students consideration. MM Update to match script correctly completed. In this module you will learn about the types of general contracts as well as the different kinds of real estate contracts. The module provides the student with an overview of the various types of contracts: bilateral, unilateral, implied, express, executed, executory, valid, void, voidable and unenforceable. Once the student is introduced to the different types of contracts, he or she learns what makes a contract legally enforceable, this being the five components that make a contract valid: mutual assent, legally competent parties, consideration, lawful objective and adherence to a statute of frauds.